BMW Motorrad will soon launch two of its least priced motorcycles in India – the G 310R and the GS 310R. 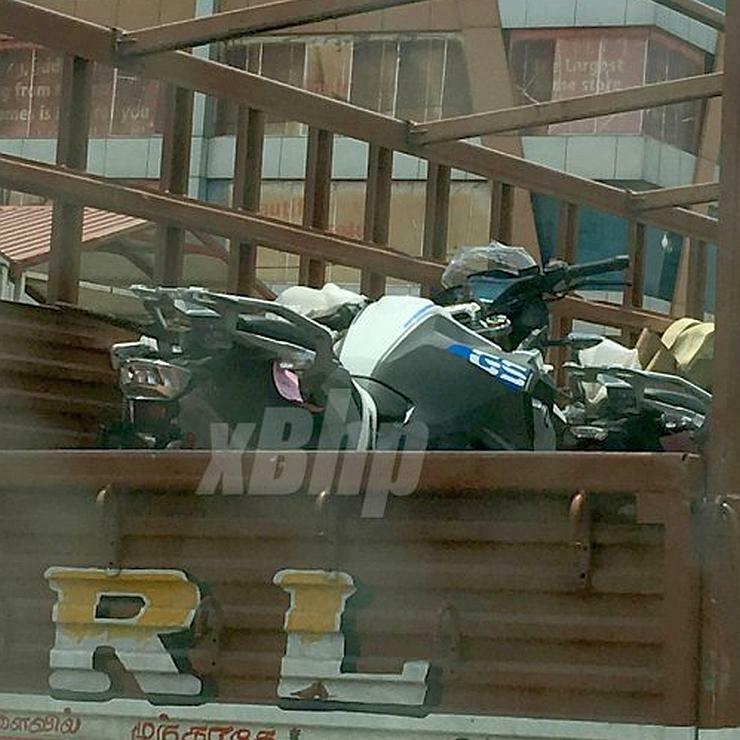 The GS 310R is said to have been spotted on a flat bed pick up truck, on the highway between Chennai to Bangalore. The motorcycle is already being built in India, along with the G 310R. TVS Motors, BMW Motorrad’s Indian partner, produces this motorcycle in India, and exports it to markets around the world. While the BMW G 310R and GS 310R are already sold in multiple international markets, they’re yet to be launched in India. The bikes share most mechanical bits including the engine and transmission with the recently launched TVS Apache 310. The BMW GS 310R is an on-off road motorcycle that will be aimed at long distance riders who want something comfortable, peppy and reliable for touring. The GS 310R is powered by a 311-cc, reverse-inclined four-stroke engine that gets liquid cooling and fuel injection. The engine produces 34 Bhp of peak power and 28 Nm of peak torque. A 6-speed manual gearbox is standard. The motorcycle gets upside down front forks and a monoshock rear shock absorber. Disc brakes are standard on both wheels, which are alloy units with tubeless tyres. Dual channel ABS is standard on the motorcycle. Although the BMW GS 310R shares its suspension and other mechanical components with the G 310R streetbike, it will have a suspension tune that makes it more suitable for off road riding. It’s likely to have a softer suspension set-up to handle the occasional off-road excursion. Since the motorcycle will be fully built in India, it’s likely to be competitively priced. However, BMW Motorrad is likely to price both the G 310R and the GS 310R well above the TVS Apache 310 in order to drive home the premiumness of the BMW brand. Expect both motorcycles to start from close to the Rs. 3 lakh mark, making them about 50% pricier than the Apache 310.